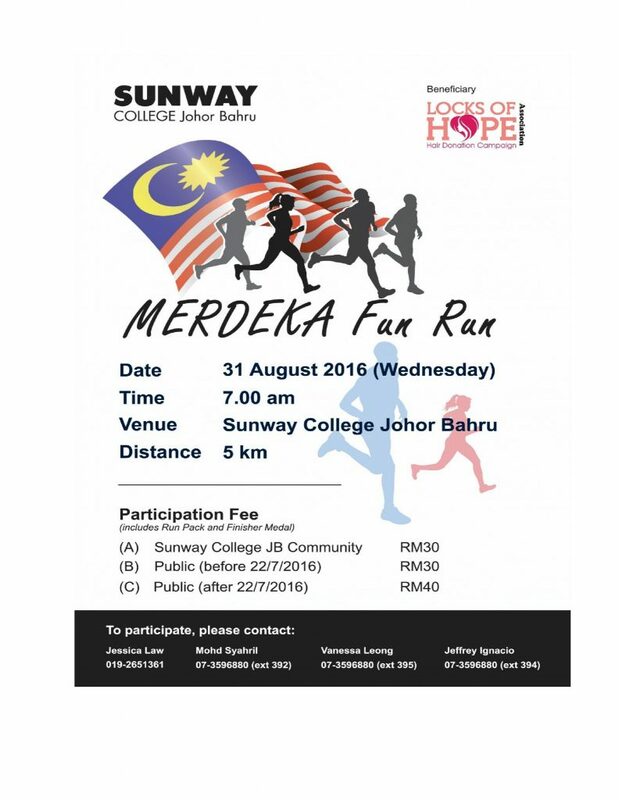 Merdeka Fun Run 2016 | JustRunLah! Download the free mobile app to keep all races in your pocket! Download our free app (for iOS / Android) to shortlist races, keep track of your results, and save your notes and photos. Photos not yet available. Please check back at a later time. Route maps not yet available. Please check back at a later time. - The race ratings are formed by our readers and may not reflect the site owners' opinions. - This database is built and maintained by our users. All information are correct to the best of our knowledge, however, the fact that a particular message / article / media is posted on or transmitted using this web site does not mean that JustRunLah! has endorsed that message in any way or verified its accuracy, completeness or usefulness. - All race logos, photos and artwork copyrights belong to their respective owners. We encourage our users to link back / credit all sources. If you are the copyright owner of any of the logos or photos used and you would like them removed, please contact us and we will do so. Use JustRaceLah! app to log results, notes and photos to any race. Free for iOS & Android.